Our community is hiring talented caregivers/CNAs and LPNs! Stop by on March 27 from 9 a.m.-12 p.m. or 3-7 p.m. to meet our team and discuss our positions. We offer excellent growth opportunities and scholarships, a competitive salary and benefits, continuous training, innovative care technologies and more! 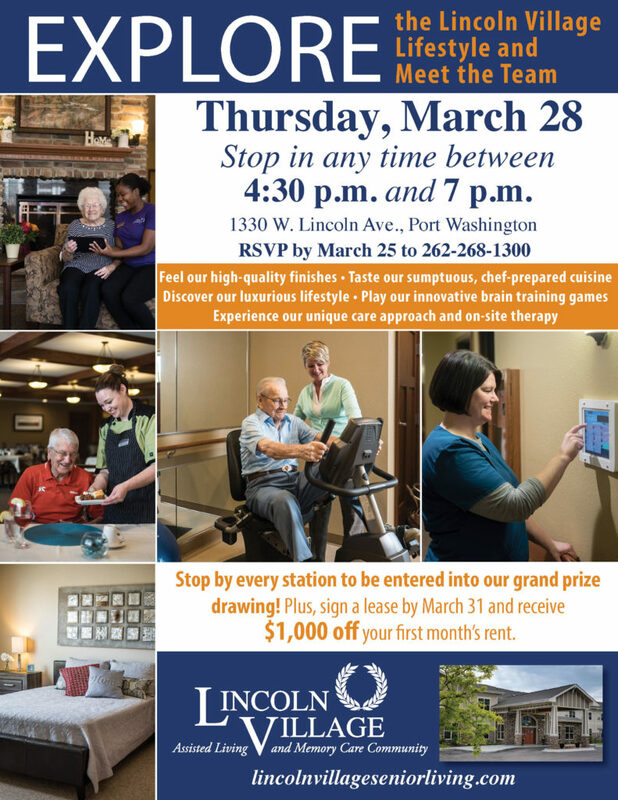 Come to Lincoln Village on Thursday, March 28, between 4:30 and 7 p.m. and explore all the wonderful things we to offer. Plus, meet the leadership team! Feel our high-quality finishes, taste our sumptuous, chef-prepared cuisine, discover our luxurious lifestyle, play our innovative brain training games, and experience our unique care approach and on-site therapy. Stop by every station to be entered into our grand prize drawing! Plus, sign a lease by March 31 and receive $1,000 off your first month’s rent. RSVP by March 25 to 262-268-1300. Downsizing? Selling? Moving to Independent or Assisted Living? 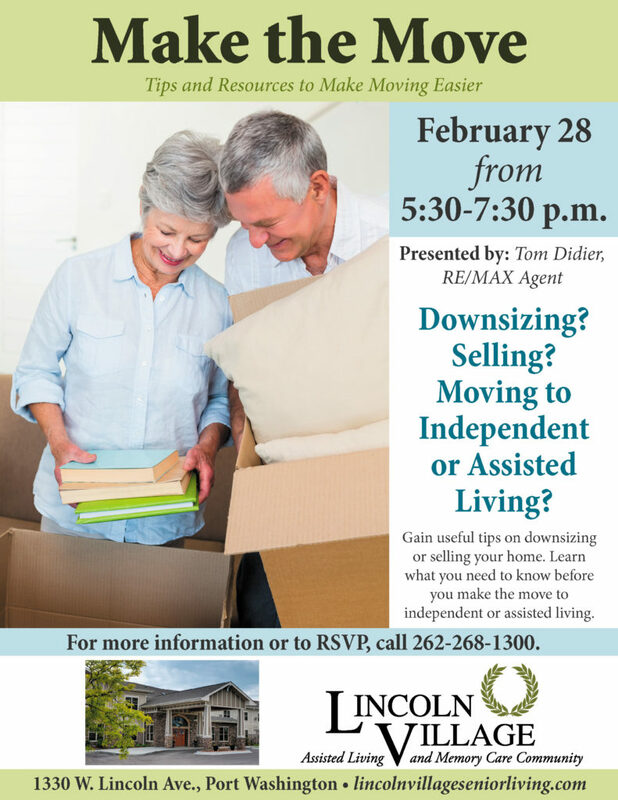 Gain useful tips on downsizing or selling your home on February 28 from 5:30-7? :30 p.m.. Learn what you need to know before you make the move to independent or assisted living. Presented by Tom Didier, RE/MAX Agent. 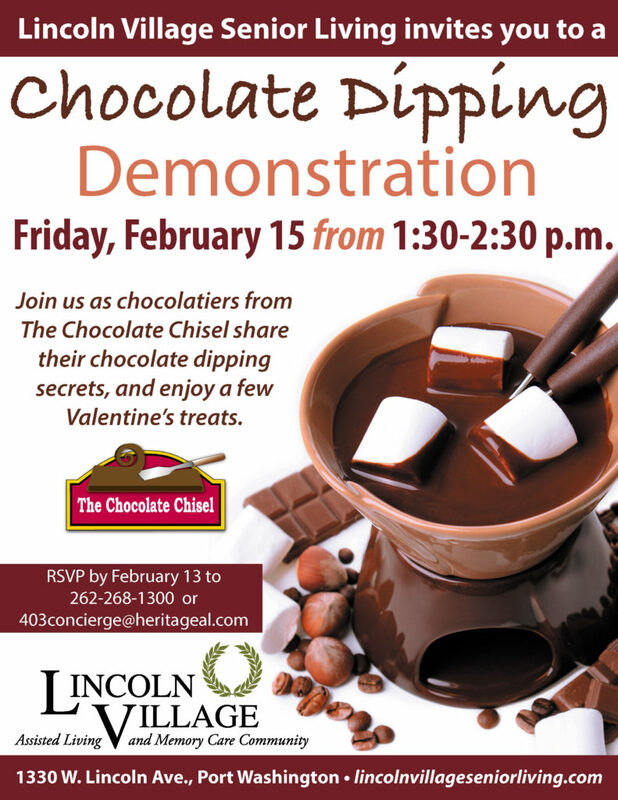 Join us on February 15 as chocolatiers from The Chocolate Chisel share their chocolate dipping secrets, and enjoy a few Valentine’s treats. 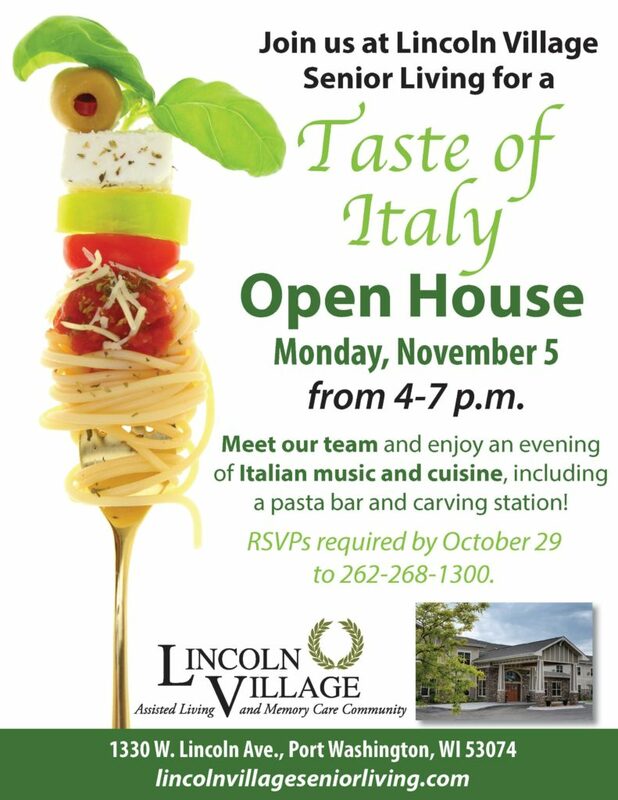 RSVP by February 13 to 262-268-1300 or 403concierge@heritageal.com. 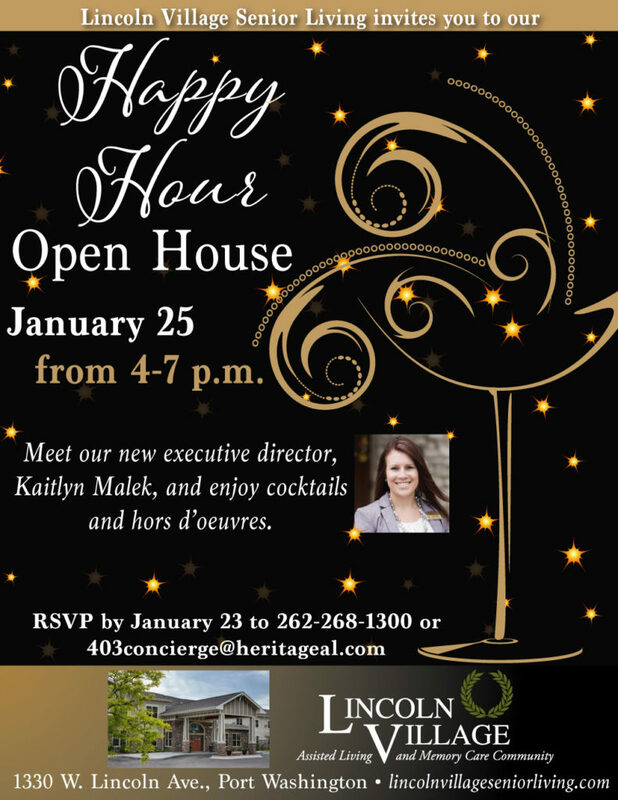 Join us at Lincoln Village for a happy hour open house on January 25 from 4-7 p.m. Meet our new executive director, Kaitlyn Malek, and enjoy cocktails and hors d’oeuvres. RSVP by January 23 to 262-268-1300. Be part of something different! 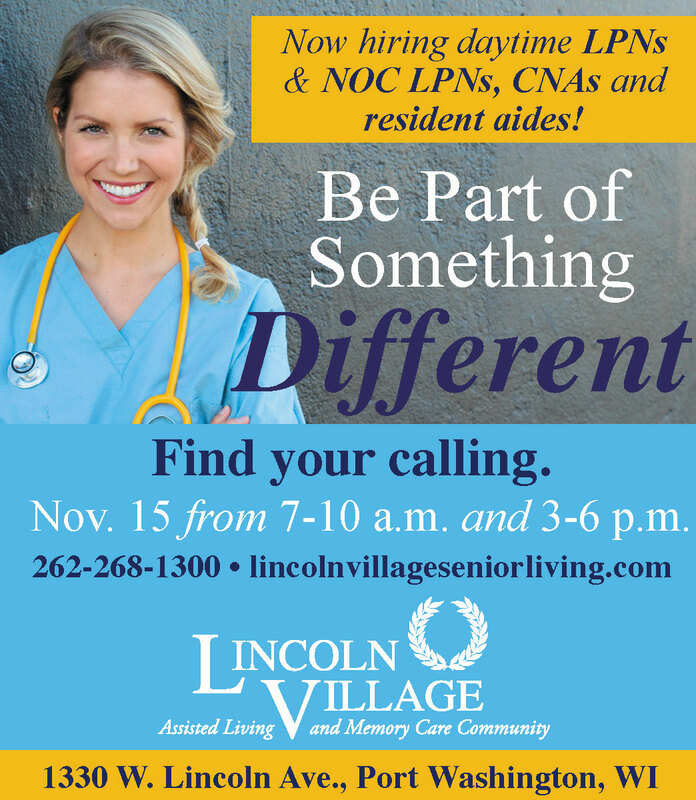 Lincoln Village is hiring a director of nursing, LPNs, maintenance staff, CNAs/caregivers, and cooks/dietary aides. We offer flexible shifts, excellent growth opportunities, competitive pay, continuous training and innovative care technologies. 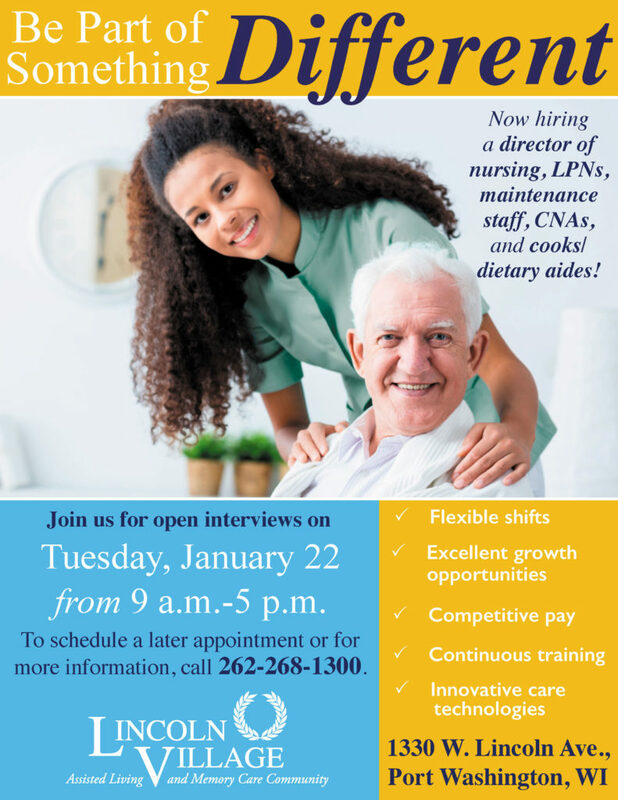 Join us for ope interviews on Tuesday, January 22, from 9 a.m.-5 p.m. Or call 262-268-1300 to schedule a later appointment. Or apply online! Join us for one of the premier events in Lincoln Village’s monthlong celebration of Wisconsin literature and authors! 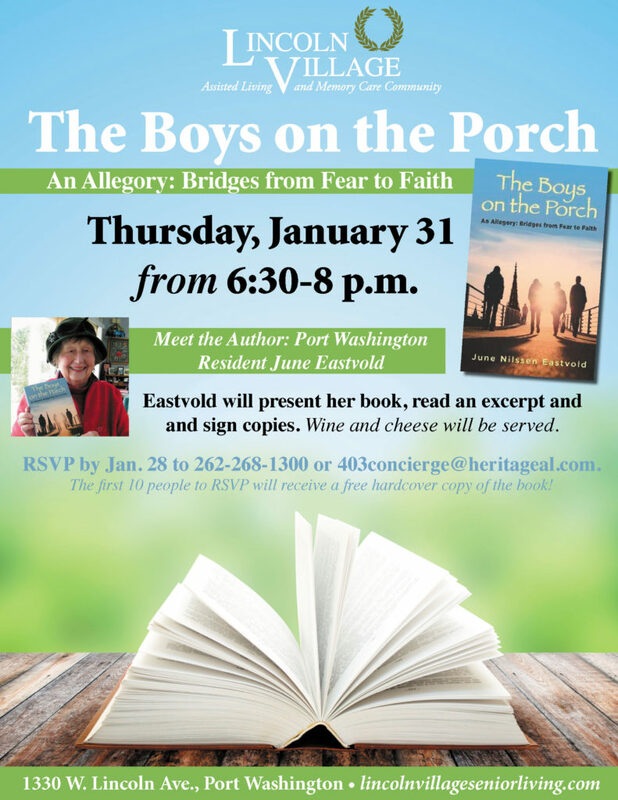 On January 31 from 6:30-8 p.m., local author June Eastvold will present her latest book, The Boys on the Porch She will talk about the book and the writing process, read an excerpt and sign copies. Wine and cheese will be served. RSVPs required by January 28 to 262-268-1300 or 403concierge@heritageal.com. Banish the winter blues. 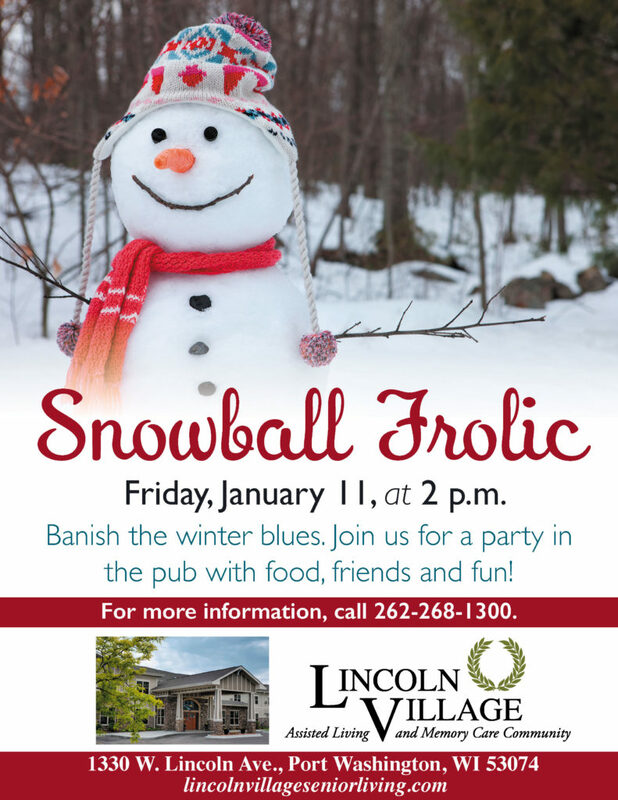 Join us for a party on Friday, January 11, at 2 p.m. in the pub with food, friends and fun!